New Wine&Cheese Pairing workshop announcement! Pairing wine and cheese is always fun, but if you have a mastery of the flavors, textures, and aromas, the combinations can be a culinary masterpiece. We will help you unravel the mysteries surrounding wine and cheese and move away from the grocery-store cheddar cubes. During this class we will explore what makes these two delicacies work so well together — you will experience and learn about the interaction between wines and cheeses, including how to pick which is the best cheese for each wine. We will explore the intricacies of the production of each wine and cheese so that you will be able to share your newfound knowledge and skills with your friends and family. 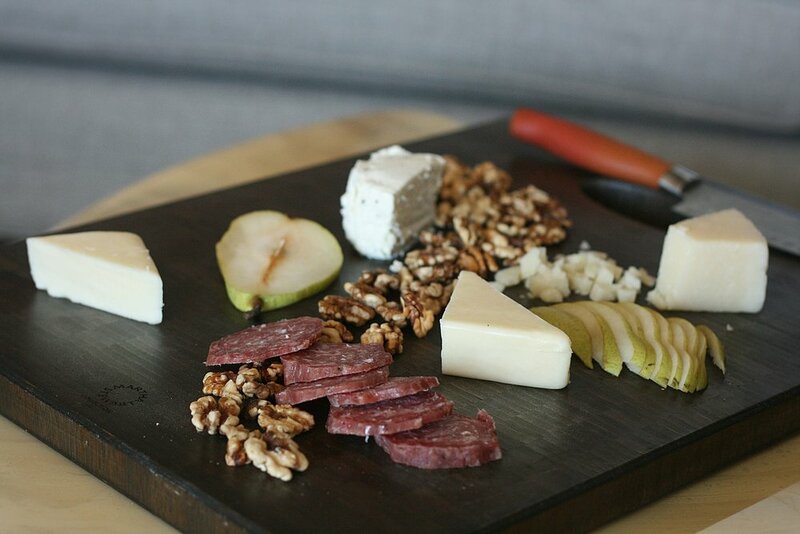 Our workshop will consist of five different cheeses (either made in-house, local, or sourced from small dairy farms from around the world) paired with a delicious selection of artisanal wines. Boost your knowledge of wine and cheese to the next level and spend a fun and informative evening with us! community where excitement builds at the mere thought of traveling and exploring different countries, cultures, and their culinary traditions. I am a wine professional, special events organizer, educator, self-taught-cook, nourishing food enthusiast, traveler, and perpetual researcher of new, inspiring flavors and culinary traditions from around the world.